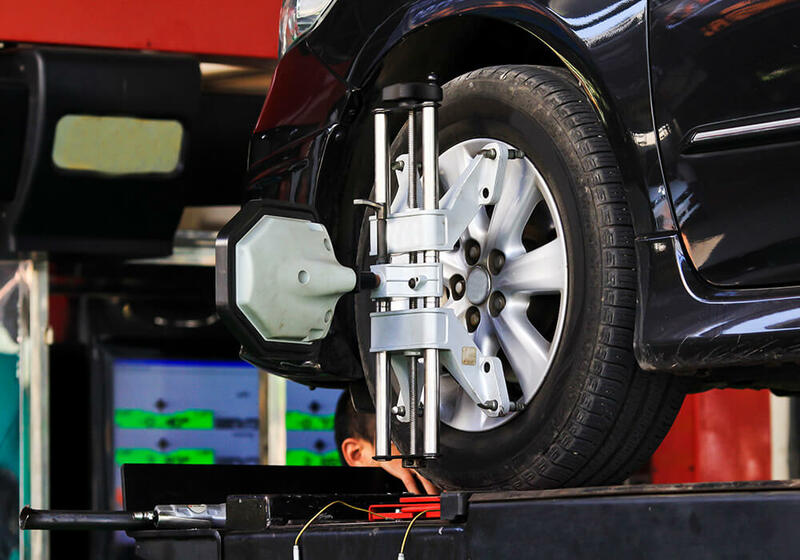 Wheel alignment is an important automotive maintenance procedure that is often overlooked or dismissed despite its many cost effective benefits. In fact it is one of the best ways to extend the life of your tires and vehicle! Allowing you to drive safely in any kind of weather without the fear of hydroplaning or losing control of your car. Ensure your safety by choosing Engineuity Autowerks. We are your source for car repair, wheel alignment and tire rotation! Why Do I Need a BMW Wheel Alignment and Tire Rotation? The tires on your car get a great deal of wear and tear, it doesn’t take much to cause a wheel to go out of alignment. By getting a wheel alignment inspection you’ll be saving money on replacement tires, and those things can be very costly. Driving in bad weather is stressful enough as it is, don’t complicate matters by not maintaining your tires properly. When it is windy or rainy outside and your car is playing a game of tug of war with the road, it is anything but fun. In fact it is pretty dangerous and can put you, your passengers and fellow motorists at risk. Road safety is crucial. Prevent tires from pulling from one side to the other, the smallest jolt can send your vehicle careening and is just an accident waiting to happen. Did you know that proper tire maintenance will improve traction and speed? We often see adventure and action films where the leading man or lady is dealing with a car that has no brakes. They nearly always escape unharmed. Well that’s the movies, this is real life. Wheel alignment will improve braking performance and can prevent a no brakes scenario from happening. No one wants to be on the road with a vehicle that looks like it’s skidding all over the place. Motorists are responsible not only for themselves but also their fellow drivers. Be safe, responsible and proactive, don’t put anyone’s life at risk. This is crucial during rainy and stormy seasons; you’ll feel much safer and calmer driving in extreme weather. Properly aligned tires save you money in the long run. Engineuity Autowerks provides wheel alignment and tire rotation as part of a complete range of standard automotive maintenance services. Engineuity Autowerks specialists adjust the angles of your tires according to the manufacturer’s specifications and provide both four wheel and front wheel alignments following a quick measurement check by our experienced experts. Ideally, the tires on your vehicle should be inspected and aligned every 10,000 miles or more frequently if you regularly come across potholes or drive on uneven roads. All information provided is provided for information purposes only and does not constitute a legal contract between Engineuity Autowerks and any person or entity unless otherwise specified. Information is subject to change without prior notice. Although every reasonable effort is made to present current and accurate information, LinkNow™ Media makes no guarantees of any kind.